Legal argument may well prevail as to whether Ogden 7, which takes into account other factors other than mortality which may reduce a claim for loss of earnings, should be applied or if the Smith v Manchester approach would be more appropriate. The case of Billett v MoD  EWCA Civ 773 provides the latest and most poignant reminder of this. 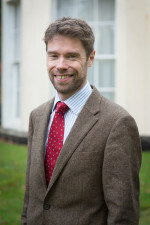 Courts have faced significant challenges in determining what a “substantial adverse effect” on a person’s “ability to carry out normal day to day activities” is and an expert who is a veteran of personal injury reporting and experienced in advising Employment Tribunals would be best placed to provide this advice. Solicitors face the very real difficulty of finding an experienced and versatile expert who can take in medical information and expert evidence on all matters relevant to a finding of disability and future earning capacity. Expert reporting is often confined to one medical speciality or another but rarely is it brought together in one cohesive document which delivers the full potential of medical expertise under CPR 35.3. Complex cases will only become more accessible if one relies on expert evidence which is ultimately unequivocal and, should this ever prove impossible, narrows the issues to the thinnest of lines. As pressure to deliver CPR 1.1(2)(b) becomes ever more important concise and helpful medical evidence becomes ever more important too. For cost-effective solutions to difficult evidential problems contact our specialist team either call us on 0871 704 2727, email enquiries@ryminster.com or complete the how can we help request form on the right of this page.